Most of us like a good challenge in life, this very blog is part of one! It's that feeling of winning that brings a sense of euphoria and well-being, after beating the odds and emerging victorious In recent times it can be argued that video games have gotten easier, with the endless amount of guides, tips and cheats online aiding this trend. Some games are still as hard as nails, but you really have to go back a few years to find the real tough-nuts, the ones which seemed impossible and made you want to tear the skin off your face in frustration. Face still intact however, these are my top 10 impossible games, the ones which are very, very, very difficult to beat. If ever. 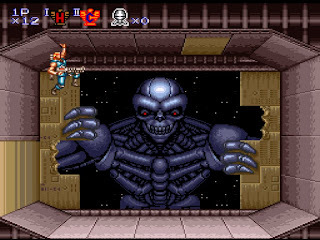 #10 Contra III: The Alien Wars (Super Probotector) - The Contra series has always been a bit of a hard-nut, much like the gun-toting cigar-chewing antagonists of the game, but the third installment released on the Snes really upped the ante. The fine graphics, big bosses and great soundtrack don't mask the fact it is a very challenging run 'n gun romp indeed, even with all that mad fire-power at your disposal. 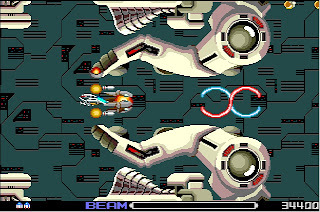 #9 Robocop 2 - It's a bit of a misleading title this, and one of the few excellent games on the GX4000 console. The first level is modestly tough, but things get silly with the first puzzle section, and then on from there is progressively gets harder. The main reason of this is the hazardous obstacles, which are abundant throughout the platform stages. Also, the time limit is strict and re-start points are few and far between. Frustrating, but still a sublime game all the same. There will be... Trouble! #8 Klax - After the early easy stages, the targets this colourful puzzler sets are high. Very high. The good news is you have the choice to choose whether you play these harder levels straight away or later on, I opt for later, because it gives you time to tune up your skills for the daunting tasks ahead. Very satisfying when you do complete hard level though, so this makes it not only very difficult but one of my favourite puzzlers of all time. #7 Final Fight - From the moment you reach the second stage, you know things are going to be a rough ride from then on. Mostly because the arcade would rinse you of your money with glee upon your death. Unlike Double Dragon and Streets of Rage, many, many thugs would close in on you simultaneously, highly damaging flaming barrels and such like would appear of the blue, and the bosses were complete pests. They were guilty of cheating a lot too, little tykes! 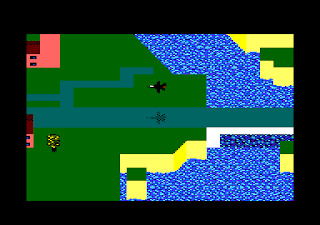 #6 Tornado Low Level - An early and rare 8-bit flight simulation that was a real bugger. No fighters to shoot down, no whizz-bang explosions; you merely had to take off, destroy practice targets and land safely, the latter of which being the real tricky thing to pull off. Sensitive controls were essential for this, and the game had them, but maybe a little too responsive. One tiny move in error, and a nosedive into the runway was imminent. Mildly entertaining but ultimately unfulfilling due to this factor. #5 Fantastic Dizzy - A wonderful game, bright and breezy, smile inducing Dizzy fun. But, it was a bit of a rotten egg in the difficulty stakes. The primary game was hard enough, with the accuracy of the platform jumping having to be exactly right and the numerous insectoid nasties to drain your eggy energy, but the sub-games were just a killer. They could wipe out your entire quest in a matter of minutes, and that felt very disheartening having the start over yet again. Hard-boiled stuff. #4 Ghosts n' Goblins/Ghouls n' Ghosts - Famously difficult on many levels and all platforms they were released on, this duo saw King Authur taking on a hoard of zombies, vampires, demons and monsters in order to save the girl. Typical. What was really annoying, was that once you had got to the end and beaten the end boss, he then has the cheek to send you all the way back to the start and go again, only this will see you complete the game. Hair-tearing, stamp-of-the-feet frustrating fantasy larks. #3 Fear Effect - On the surface, this feels and looks like quite an enjoyable game. A bit of shooting, a bit of stealthiness and brain-teasing puzzle solving. However, blink for a split-second at the wrong moment and out pops a baddie to cap you off in an instant. So, you remember, learn and go again only to find that the same enemy has gone, until, seconds later... No, he's there again and once more lays you out unceremoniously. The re-spawn points were also sporadic, as were the save points, making for a very unfair and un-enjoyable game whilst being extremely annoying to boot. #2 Super Mario Bros 2: The Lost Levels* - Mario in his original platform roots was always a good challenge, but bloody damn good fun at the same time. This doesn't lose the charm of the original Super Mario Bros, it looks pretty much identical, but it does put the hardness level way up, really, waaaaaay up! The levels are long, complicated and littered with all of Bowser's minions liberally. 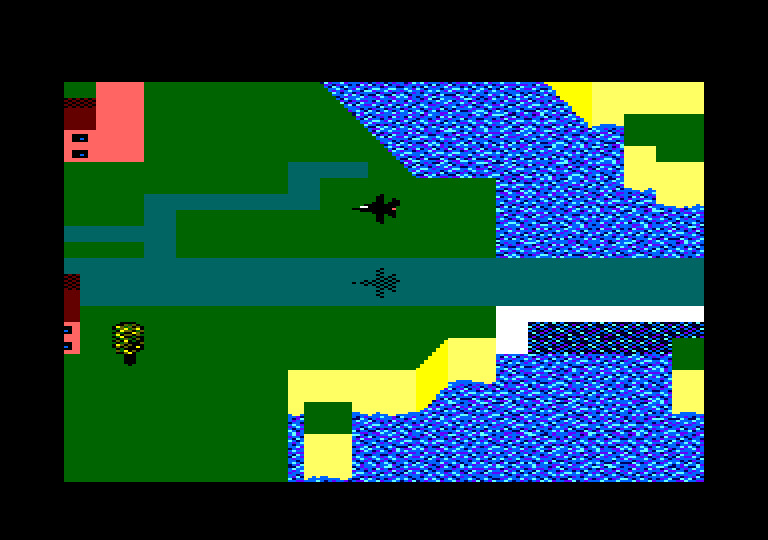 Suffice to say, the western version of this was a completely different game, and not a great one either. This is the true Super Mario Bros 2, and probably the hardest Mario title ever. Why does going into this feel like a bad idea? 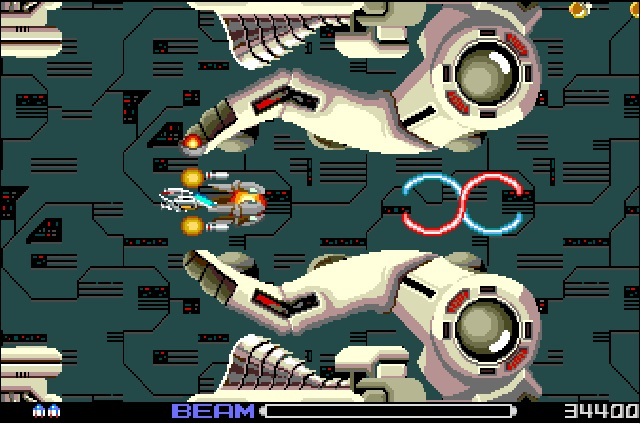 #1 R-Type - One of my all time favourites, as well as being my most difficult game, topping the list for me. Renowned for the challenge it presented, it's sequel and Snes edition shared this trait faithfully. Within seconds, a million plasma bolts, lasers and alien craft are in your face, before you have even got to a power up or thought about your next move. Thankfully, the upgrades to your ship are the difference maker, but keeping then equipped is another matter. Once you get hit, it's back the drawing board with no power ups to speak of. Relentlessly pummeling at the best of times, the bosses are actually the easier parts. Sort of. The king of frustration and head-slapping, all wrapped up in a brilliant shooter from the eighties. ARgghhhhh-Type! I'm Haaard! Well Haaaaard! Ahem... so that's my top 10 list of the most challenging games according to my personal exposure and game playing skills. What's the most difficult game you have played? Speedball 2? Gradius? There are loads that could have made this list in all honesty, so it was, erm, a challenge to narrow them down. I'm going the lighten the mood for the next A to Z blog, we are talking J for Jokes & Japary! Funny video games people! I would love to see some of the so called modern gamers play a game like Ghost's n Goblins.. The modern gamers complain about how difficult some of the modern games are yet I find a lot of the older games are much more of a headache than the newer games.. Love the list..